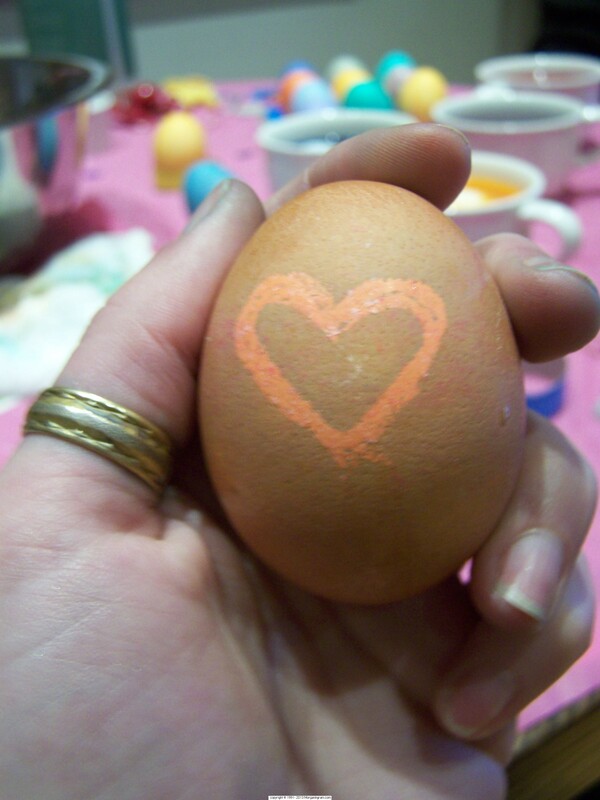 Morgan painted this Easter egg the night before her last Easter day. She LOVED coloring eggs and eating Easter brunch with everyone. Especially because she LOVED Eggs Benedict and we always made sure we either made that for Easter brunch or her next all time favorite which was Macadamia Nut French Toast…both were always sure to bring a smile. I wanted to post this today in order to wish you all much love & togetherness with your families, along with abundant peace in your lives. The most important thing Morgan taught us was to always appreciate every day you have on this earth, as though it could be our last. Morgan used to tell us, almost on a daily basis, that she loved us, and she always said I love you before she got off a phone call with us, or before she went to bed at night. Her older brother, sister, cousin & our grandchildren are still like that – they always tell us, “I love you” every time we say goodbye. At times it feels as though my heart is going to burst – when you have that much love around you then no matter what challenges you face in life you can make it through. When Morgan was on her last vacation without us in Hawaii, with her Godfather & Godmother, she sent me a text with this picture of, “I Miss You” written in the sand. I was surprised because I knew she was having such a great time & I thought she was probably happy to be able to go on a vacation without us this time. She was/is such a loving soul, and I am extremely proud to have been her mother – I feel very blessed. Steve & I just ended a very wonderful week – a week spent with both of our grandchildren. We all had so much fun just being together, then with lot’s of hugs and words of love we said goodbye. We had spent time outdoors in nature, loved playing in the ocean, cooking together in the kitchen, going to the park, swimming in the pool, taking pictures and going on a very special Easter egg hunt…all the same things we used to enjoy with Morgan while she was growing up. Of course it was bittersweet – Steve & I kept catching each other with tears in our eyes knowing we will never again get to do these things with Morgan, or any grandchildren Morgan would’ve given us, but we were grateful to remember all the precious moments we were able to spend with Morgan over her 20 years on this earth. She was always an extremely bright light in our lives, and we were very blessed to have spent that time with her. Morgan is gone from this plane, but still sends signs of love to all of us. This morning before our grandchildren left we all spent a couple more hours out by the pool. I was sitting on a chair when my granddaughter said, “Nana, look a dragonfly, it’s Aunt Gigi (that’s what she called Morgan). This dragonfly was beautiful. It had translucent yellow wings and kept circling me, then it circled both of the children in the pool, then circled Steve and then landed within a foot of where I was sitting. It was as though Morgan was trying to say, “I am here with all of you and I love you.” It was an amazing gift on this Easter morning. A friend I met gave me a Trinity Cross necklace for my birthday in 2012. You may have seen a picture of it on an older post that I wrote. It is a beautiful silver cross that she had made using her father’s design. She told me it meant Ask, Believe & Receive. Well to make a long story short I just wanted to let everyone know that the meaning behind that beautiful necklace has really helped me over the last couple of years…I do ask, I do believe, and I know I will receive what I want most, which is to have Morgan’s murder investigation open and justice for Morgan. It has taken so much longer then I ever thought it would, but then again I am always reminded things happen at the time that they need to happen and for reasons that we sometimes never know. So I am still waiting, I do not allow myself to focus on the negative because I realize that would just be counterproductive. I do know major things have happened, and are still happening that are keeping forward movement in the fight for justice for Morgan. Major things that are extremely positive, and I know justice is coming – putting an exact date to that moment can not be known to anyone on this planet, but the fact that it is coming I truly do believe. Again, I wish you all much love & peace. This entry was posted in Morgan's Investigation and tagged a blog about the stalking and murder of Morgan Ingram, Accountability in law enforcement, Carbondale murder, CO, Cold Cases, Colorado Crime, Colorado Crime Victims Organization, Colorado killing, creepiest stalker, creepy stalker, deaths from stalkers, Do the right thing, drugged and murdered, Easter eggs, For Victims, garfield county, healing horse, help find justice for Morgan, January is stalking awareness month, justice for morgan, memories, Morality, Morgan Ingram, Morgan Jennifer Ingram, Morgan was murdered by stalkers, Morgan's reward poster, Morgan's stalking blog, Morgans Stalking, Morgan’s Stalkers, National Stalking Awareness Month 2015, Northern Colorado Crime Stoppers, paint horse, predator stalker, predatory stalking, Protecting Victims, Real Crime, Serial murderers, share this poster please, staged crime scenes, stalked and murdered, stalkers murder, trinity cross, words from beyond by Toni Ingram. Bookmark the permalink. Well we don’t do the same things we used to but I thought you’d like to know that a hummingbird flew past me today about the only time I was still long enough to notice. At first I thought it was a big dragonfly, it was pretty far away and barely caught my eyes. But then I watched its wings….. I was entranced. Then I came inside and read this… where sometimes I only have time to read your ‘headlines’… I took the time and read this. It has been a week of kinda wonderment this way. I keep at it so hard I really have to school myself to stop, listen, and understand that gentle spirits are trying to carry me through and I feel overwhelmed with the love! It’s coming…. justice will come for our families. That was beautiful…yes, we all have to watch for the signs.